Back in June, Lotus announced it was getting into the motorcycle business. Or, we should say, Kodewa and the Holzer Group are getting into the motorcycle business, and have acquired the rights to use the Lotus name. One way or another, we’re now receiving word on some of the specs we can expect from the prototype dubbed C-01. 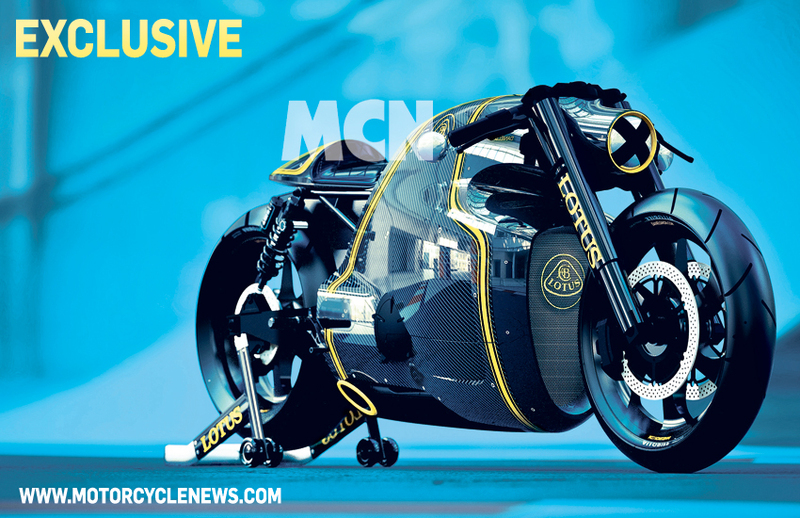 The Lotus motorcycle is being designed by Daniel Simon, the automotive futurist who has penned, among other things, the light-cycles for Tron: Legacy and the livery on the LMP2 racer Kodewa also fields under the Lotus name. So you know it’s going to look pretty awesome, but what will make it go? We’ll have to wait until next month when the talents behind the project are expected to release more information, but for now it’s sounding pretty sweet indeed. So, the wheel has come full circle and now we have Automobile manufacturers mixing their cooking pot with some 2 wheeled flavor. I just got this from a mate of mine in Thailand and as I am an avid Motorcycle News reader, thought I would do a little blog on this New machine. 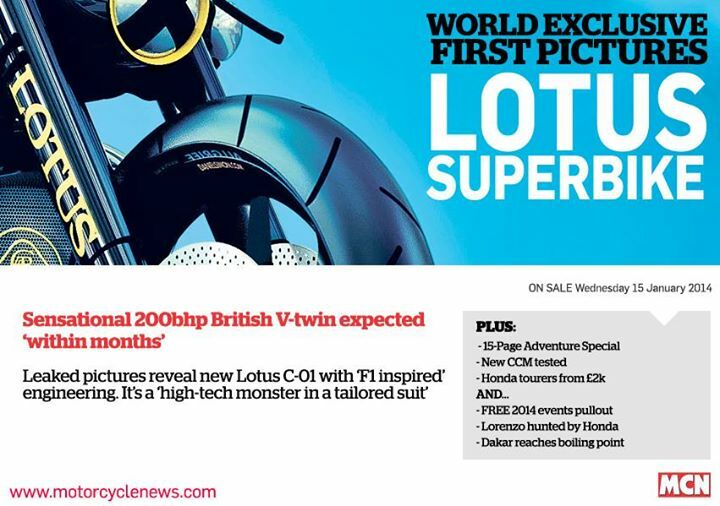 MCN has the world exclusive images of the new Lotus superbike in this week’s issue of the paper along with details of the project and how running prototypes are already out testing. 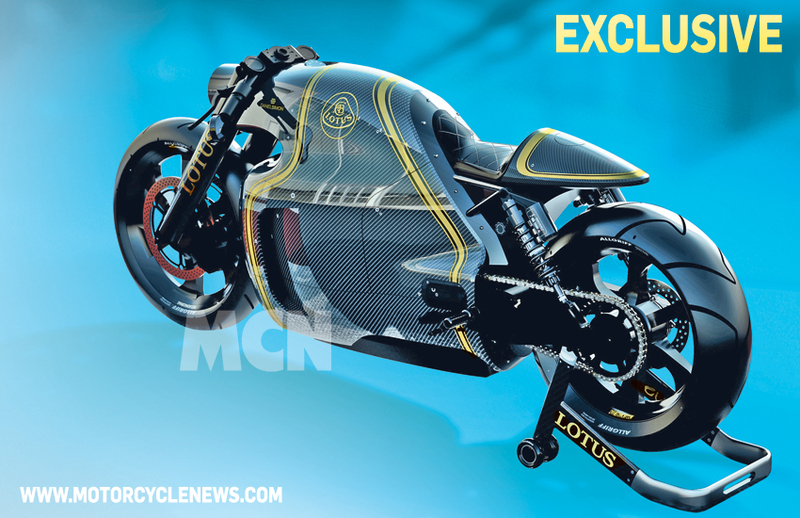 We have exclusive high resolution images of the new Lotus C-01 superbike as well as exclusive information from those close to the project revealing more details about the 200bhp V-twin. The C-01 is the first bike to come from a new set-up using the Lotus name under licence. 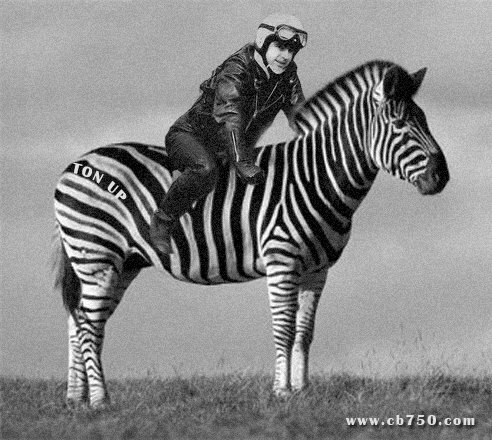 Lotus announced it was moving into the world of motorcycles in June last year and at the time it promised a 200bhp bike would be on sale in late 2013 or early 2014 but no images of the bike have been seen so far. 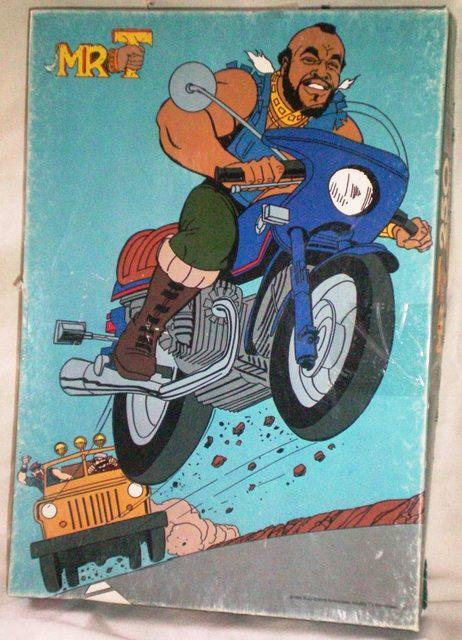 MCN managed to get hold of two images from a source close to the project. That source, who didn’t want to be named, was able to hint at a few details of the bike which certainly looks very different to anything else currently on the market. These computer generated images have come directly from the Lotus factory and are not the work of MCN. OK, I have been waiting to see a whole exhibition on prototype machines, so hope other manufacturers take a feather out of the Lotus machine and have a go at creating their unique 2 wheeled creation, I am sure BMW could knock something out of the park quickly? I shall be keeping my eyes open for you tube video’s too as someone always manages to get sneak peeks. So, I watch with baited Breath. 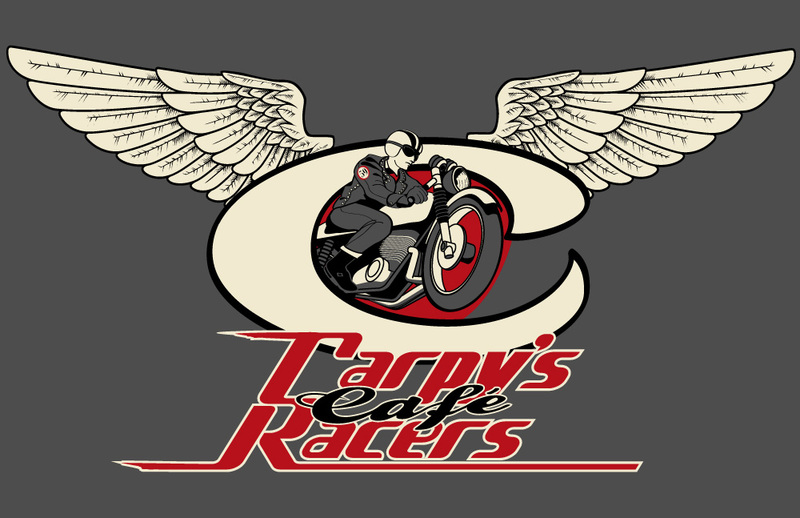 This entry was posted in Blog and tagged 59 club, ahrma, cafe racer, concept, Lotus, prototype, racer, rockers, ton up, vintage motorcycle.